Honestly, I am very generous last month. I bought Toshiba laptop for my brother. The price is about six hundred. After that I felt guilty to my son. He asked laptop to me since he was in grade five. Even though I can afford but I did not buy that time. He is still studying and I’m afraid it can affect his studies. He loves playing games online that’s why I’m worried if I buy laptop for him. But after I gave laptop to my brother I think about my son. That’s why I send money to the Philippines. It’s my sister who chooses the laptop at the mall. 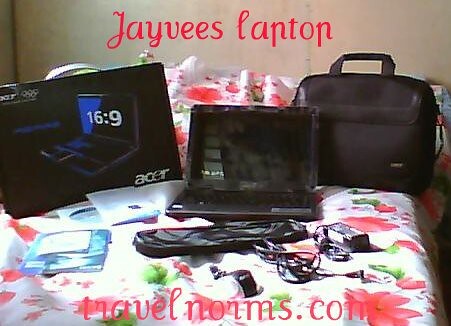 The brand is Acer with cam and 15 inches. According to my sister my son is very happy. I’m so happy also that at last he got laptop already. To my son, enjoy playing games at the same time study your lessons.